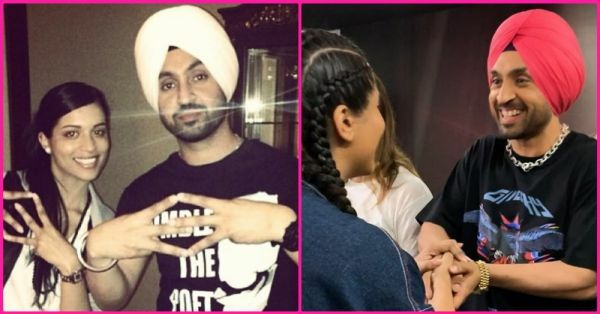 Diljit Dosanjh & Lilly Singh's Intense Catch-Up Proves Punjabiyon Da Pyaar Is Sabse Khaas! Our love for Lilly Singh has been no secret. She's sassy, classy and a complete badass. And now, our superwoman has her own late-night talk show with NBC. Last week, the YouTube sensation shared a video with her fresh take on ‘If Bollywood Songs Were Rap’ that discusses women empowerment, mental health and bisexuality in the coolest way possible. Recently, Lilly Singh was in India for the YouTube FanFest and guess who she ran into? Our favourite boy Diljit Dosanjh. And you know what happens when Punjabis meet! Japhian te pappian, there's just so much love to give and receive! So when Superwoman had to greet our Proper Patola singer, there was more than just an exchange of pleasantries. Lilly shared the video of her intense Punjabi catch-up with Diljeet and captioned it, "When you meet someone from the motherland 😂😂 this is DEF how Punjabis greet each other, complete with a 5-minute long hand-holding session and family tree check-in. To be honest, @diljitdosanjh and I aren’t even acting... someone was just rolling when we met up. 🙏🏽😂"
Diljit shared the same video and gave it the most Punjabi caption possible: "Toronto Di Lilly Te DosanjhanWala 😎 When Two Punjabis meet 🤗🤩" To which Lilly commented: "CHA? Paani? Dusssoooo kuch…"
Lilly and Diljeet have been friends for a long time and bond occasionally over their Punjabi roots. In fact, Lilly even disclosed in a recent interview, that every time she’s in India, she makes a point to take some time out and chill with Diljit, who she finds extremely funny, humble and sweet. While putting our stalking skills to test, we found out that Lilly and Diljit's friendship can be traced back to 2013. On her trip to India, Lilly also met Ranveer Singh and the two stars rapped together and shared some of their crazy moments on Instagram. Seems like Lilly Singh's trip to India this year was quite a sensational one!